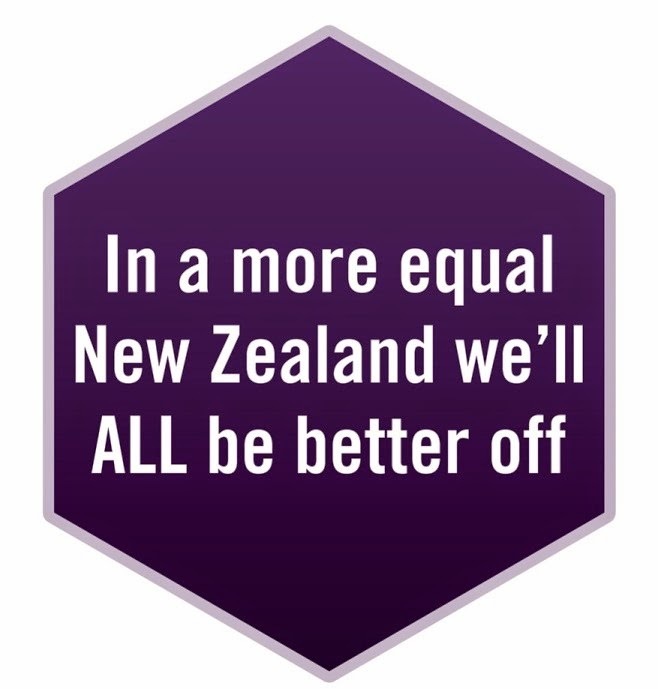 “New Zealand needs to share its resources more evenly or we will have a greater entrenchment of income inequality and poverty and all of the negative outcomes associated with these conditions”. That’s the key message of the 16th Vulnerability Report released by NZCCSS. The report combines official government statistics with community information to track levels of vulnerability since the 2008 recession. The news in the latest report is mixed. Official statistics show signs of some improvement but this good news is not shared by everyone in our communities. Some of our children, young people, women, Pacifika and Māori are all bearing the brunt of paying for the excesses that caused the GFC. Are we doing enough to enhance regional economic development in our smaller centres? Debate focussed around the impact on the Waikato region after the announcement 180 jobs going from AgResearch Ruakura campus, more jobs cuts in Otago and 7.6% unemployment rate for Gisborne. Hard to argue with these statistics! Implementation of recommendations of the 2010 Public Health Advisory Council Report to develop, monitor and report upon universally agreed high-level indicators for child health and well-being. This hasn’t happened and the debate centred on whether the likely results of these indicators would prove too poor to risk implementation of a monitoring programme. Another potential impact on current unemployment rates is the news from Treasury that Young People between 20 to 24 years are returning home from overseas in droves. Always great news for family and whānau to have their young ones returning. But how many will join the exclusive unemployed persons club and for how long? Is this thing called The Economy ready for the influx predicted by Treasury to be 20,000 by the start of 2014? And by the way there is a new term to learn - the quaternary sector (the so called FIRE, finance, real estate sectors), which now exceeds manufacturing in terms of employment. A useful sector to get to grips with when matching skills to jobs. For more information on the link between skills mismatch and inequality take a look at Paul Dalziel’s chapter “education and Skills” in Inequality : A New Zealand’s Crisis or for a summary of the article check out the latest Welcome. Well worth a read. GPs Double as WINZ Officials But Where are the Jobs? What is to many the last bastian of a kindly word and neutral support to people receiving on-going state support (previously known as sickness beneficiaries) could be lost. According to recent reports the Ministry of Social Development is setting up a health and disability panel to determine how the medical profession can help remove “barriers to work”. CSS Disability Action Chief Executive David Matthews has concerns about: “doctors grilling already stressed patients” about their job prospects. “Disabled people tell me they feel checked up on and questioned all the time. Another set of questions just seems to be more and more pressure”. Most would agree that supporting people into meaningful and appropriate employment is positive for their health and wellbeing. The reverse is also true. International research consistently shows unemployment results in poorer mental and physical health, addictions, and increased rates of mortality …to name but a few social ills (Mormat Review and The Spirit Level). So let’s not take our eye off the ball by this announcement. The success of the Government’s welfare reform programme is ultimately the availability of jobs and it’s not looking too good. The unemployment rate is up 6.4 %. Regional unemployment rates aren’t looking flash, coupled with cut backs in public services, and a blind faith in the ‘market economy’ sorting this mess out. …So good luck GPs ……because we think you’re going to need it! Note presentations from the Increasing Inequality Forum are now available on the Institute for Governance and Policy Studies website. A new campaign to put kids at the centre of local body and DHB elections was officially launched early this week by Every Child Counts. The Tick for Kids launch was attended by Auckland Mayor Len Brown, the Chair of Every Child Counts, Dennis McKinlay, and students from Balmoral Primary School. The campaign encourages local body and DHB candidates to confirm their commitment to an agenda for children based on obligations under the UN Convention on the Rights to the Child to ensure “children’s best interests are a priority consideration and are well placed to ensure that children’s interests are addressed in local communities”. “One night sleeping in a frigid bedroom can harm a child’s lung function for up to a fortnight” according to new findings from the House and Health Research Programme/ He Kainga Oranga at the University of Otago University. This study adds to an already substantive body of evidence that says insulating homes is an effective way to improve child health and its cost effective. “One night in hospital costs on average $1700, whereas insulating a house costs $1500” says researcher Dr Nevil Pierse. Over the years some improvements in house insulation have been seen. The Warm Up New Zealand:Heat Smart fund has insulated 230,000 houses since it began in 2009 but this funding will run out next month. Dr Pierse believes the Warm Up New Zealand programme should continue but supplemented by support for the joint He Kainga Oranga and NZ Green Building Council plan to develop a new test that could pass or fail houses with a ‘Warrant of Fitness’ or WoF’ type assessment. The evidence and economics are well set out in this new study but the ethics is best summed up when Dr Pierse says: “So we’re taking a child who’s sick, we’re bringing them into hospital, which is nice and warm, giving them some drugs, and putting them back in the same problem again”. The research has just been published by the Journal of Epidemiology & Community Health. He Kainga Oranga/Housing and Health Research Programme in association with the NZ Centre for Sustainable Cities has launched a new book that investigates New Zealand’s shortage of affordable and social housing. The contributors argue that “when affordable and social housing is under-provided by the market, more active policies and investment are required from central and local government”. The book also includes viable options that could house New Zealanders in homes they can afford. It also explores “new models of urban living that encourage a sense of community and a good quality of life, and shows that intelligent housing policy can help make communities healthier, happier, more stable and more resilient to climate change”. To find out more or to buy a copy of the book go to Steele Roberts publishers. Joint accountability for vulnerable children across Chief Executives of Social Welfare, Health, Education, Police and Justice. Minimal standards for screening and vetting every government worker in the children’s workforce, and government-funded organisations working with children and voluntary for wider community organisations. Children’s Workforce Restrictions on people who have serious convictions. Child Harm Prevention Orders (new civil order) to place restrictions on adults with a history of serious convictions who pose a high risk of abusing children. This could potentially include cases where the adult responsible for the serious abuse or death of a child ‘on the balance of probability’. Subsequent Children. Where children have previously been killed or seriously abuse, the burden of proof would reverse and the parents, not the courts, would need to prove their child is safe in their care. Meanwhile, here are links to some commentary. Every Child Counts says “positive moves…” Rethinking Crime and Punishment says “...the process may be just as important as the outcome. ” and the Mana Party certainly didn’t mince its words “..I want the government put on notice to stop their abuse and neglect of kids and whānau too. Good News from Minister Bennett for Small NGOs. Check out the latest news update from the Ministry of Social Development on Services for Outcomes (ISO). There’s some good news for smaller NGOs who might be worried about how they will fit into the new ISO framework. In the update Minister Bennett provides some encouraging words to smaller NGOs. A reminder that submissions to the Commerce Select Committee are due by 22 August. Check out the Methodist Church submission who consider the Bill against principles of the common good. Quantitative data often indicates New Zealand is a ‘secular’ society but how is the term ‘secular’ understood in New Zealand? The Centre for Theology and Public Issues is conducting a University-funded research project to look into this very question. A short online-survey has been devised to gather some qualitative data. Click here to take the survey and to find out more check out the link. build the capacity of both disabled and non-disabled people to lead change. Visit the Think Differently website to find out more about applying for funding. Some good news on the funding front. Eight new community development projects around the country will be supported with $1.9 million of funding from the Community Development Scheme ($80,000 for three years). The scheme supports communities “which are work together in new ways, to be innovative and to determine their own development priorities in order to achieve sustainable community outcomes”. For more information see media release. The Families and Whānau Status Report is the first in a series that aims to enrich our understanding of family and whānau wellbeing. The Report is divided into two parts. Part One Setting the Context: The importance of a demographic overview] provides an in-depth review of diverse demographic changes and their impact on New Zealand families and whānau. Part Two Towards measuring family and whānau wellbeing presents two draft conceptual frameworks for measuring family and whānau wellbeing. The Commission has developed dual conceptual frameworks to measure family and whānau wellbeing. This approach is advocated in a report by Professor Sir Peter Gluckman, the Prime Minister’s Chief Science Advisor, and Families Commission Board member. The Problem Gambling Foundation of New Zealand (PGNZ) is holding a Symposium for The Impact of Problem Gambling on Children and Young People in New Zealand. Join the Problem Gambling Foundation for a one day symposium in Wellington to discuss the impact of problem gambling on children and young people in New Zealand. The event is open to everyone interested in this important social issue and who would like to understand or play an active role in developing solutions and addressing the determinants of health of our current and future generations. We’ve highlighted the problem – be part of the solution. Register now at www.salvationarmy.org.nz/justaction. Here you can also find more information on the conference and on our headline speakers, plus accommodation, transport and eating option. If you’re in Lower Hutt on Friday 23 August 2013 don’t miss the Hutt City Salvation Army Fashion Show. Lots of work has gone into this annual fund raising event so let’s support it. Location: Cnr Cornwall Street and Kings Crescent, Lower Hutt, Wellington. ALL Funds raised go to the Community Ministries at Hutt City Salvation Army.